It was an overcast day as we left Kuala Terengganu, our destination Tasik or Lake Kenyir, the largest man-made lake in Southeast Asia. In our rental car, we drove quite a distance, more than 60 kilometres, over some very good roads to reach the lake. Our first impressions were marvellous: we pulled up at an intersection, short of the Tourist Information Centre, to view and photograph a glorious vista of the lake, shrouded in morning clouds. Excited by the prospect of seeing some beautiful views of the lake, we proceeded towards our destination. At the visitor centre, we inspected a display of the major species of lake fishes. Some of these fish were enormous and included the river lampam, kelisa, kelah, belida, river baung and kaloi, some of Malaysia’s famous freshwater fishes. Finished with fish-admiring, we then made enquiries about possible tours. We were advised that, at the back of the lake, was a grand waterfall, Lasir. After some discussion, we decided to book the tour. Following a short walk from the Visitor Centre to the boat launching area, we were informed by the operators that we were the only people wanting to visit the falls. It was a very quiet day! Were we to be disappointed? A hasty phone call ensued, the operator organising to pick up another couple from a lakeside hotel to join us. Tour on! It was a lengthy ride, of about 30 minutes, in the canopied motor boat, cruising over still waters with scenic views completely surrounding us. Close to our destination, we could see the mountain backdrop to the waterfall. The enshrouding clouds still hung like a white curtain over the rainforest-clad hills: the trip was becoming exciting. When we arrived at our destination, we were not disappointed. 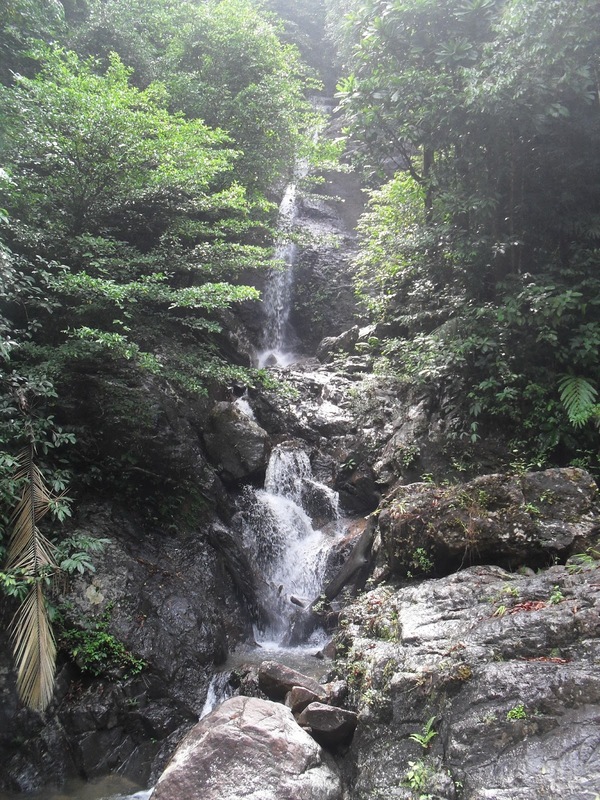 The lower drop of Lasir Waterfall was instantly attractive. We clambered from the boat where the powerful torrent of the falls entered the lake, scrambling over rocks to a pathway which led us to many viewpoints for the multi-tiered falls. Further on, we spent time on a suspension walkway and in an observation hut. The scenery was superb and the further we trudged up the hilly pathway, the more spectacular the falls became! Photo opportunities abounded. Some time later, making our way back to the boat, we watched two men spin-fish unsuccessfully in a large pool. Then, arriving back at the boat, we came across a family cast-net-fishing below the lower falls. Did they catch anything? I am not sure… Regardless, the observation of locals enjoying their fishing experiences, added to our satisfaction with the excursion. Visiting Tasik Kenyir and Lasir Falls had been an absorbing tour. With our usual good fortune, we appeared to have arrived on an unusually quiet, July day. According to reports, Lasir Falls, the most powerful falls within the lake complex, is the most popular venue with tour operators, and can become rather busy during peak times. 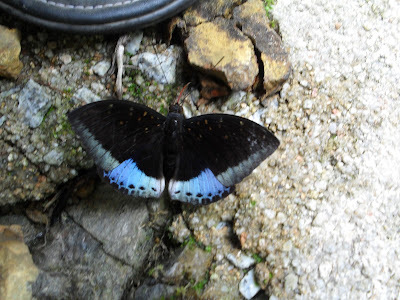 Unfortunately, we had allocated only one day for our excursion to Tasik Kenyir… it deserved more!